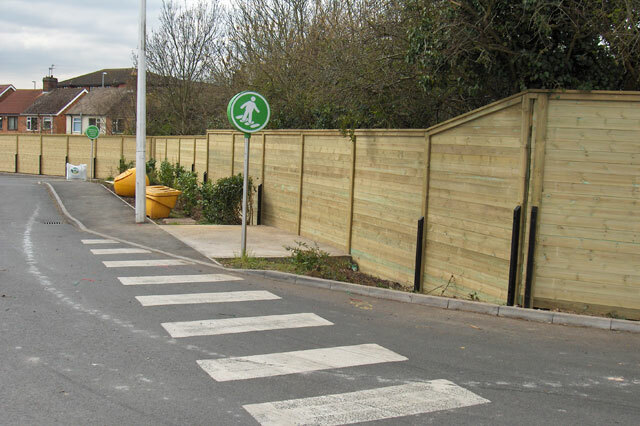 Our team has over 10 years experience in the supply of acoustic fencing and barriers, and over the years we have spoken to thousands of customers all looking to solve the same issue. We offer solutions for residential, commercial, industrial and highway applications that can reduce noise levels by as much as 32* decibels while maintaining an attractive style. Please call our friendly team on 01233 632967 or if you would prefer, email us your enquiry with the specification and/or any design drawings and photos you may have, please also include your name, a telephone number and your location including postcode. 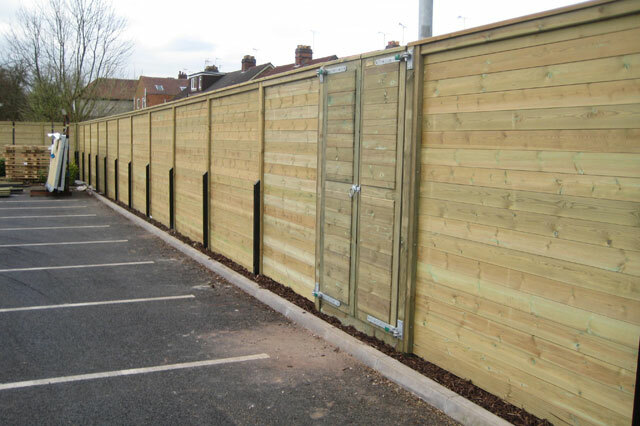 We are a supply only company of the materials required to complete the project, this easy to install, kit form fence can be installed by any reputable fence erector, we can also supply full installation instructions with any order, if required we have a number of expert installers around the UK if you need their services, please ask for further details. 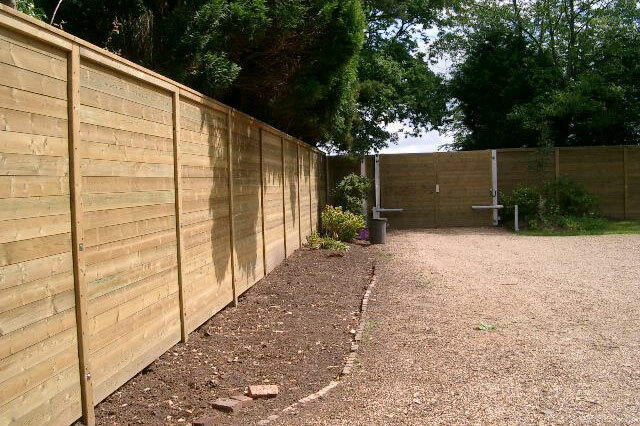 The Premier Acoustic fencing is not only designed to reduce the problematic noise, it also has a very attractive and stylish look, this gives us the edge when it comes to ticking all the boxes. 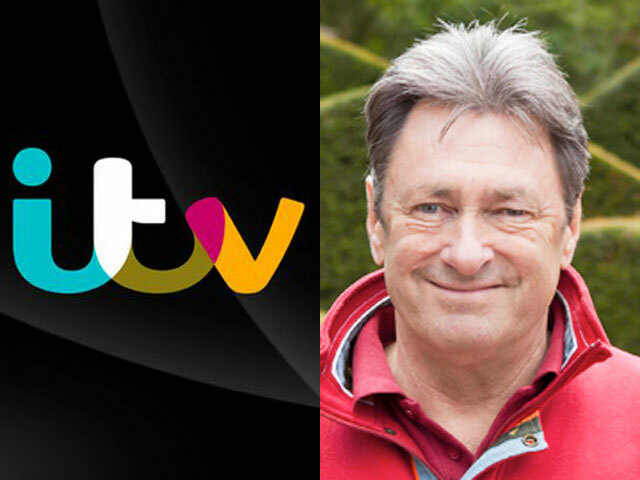 Premier Acoustic Fencing are proud to announce that we supplied our acoustic fencing for an ITV series of Alan Titchmarsh - Love Your Garden, which was shown on 6th August 2013. 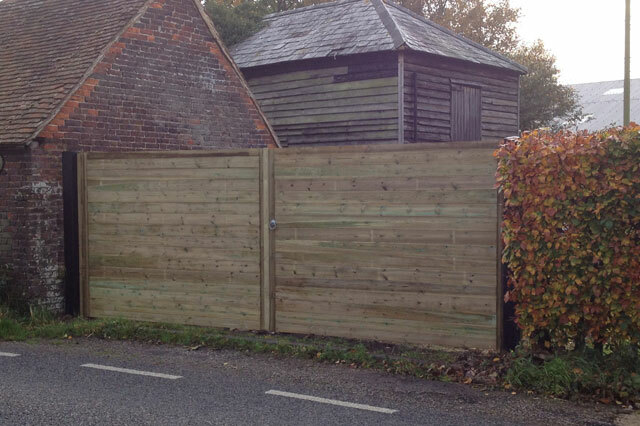 Click on Alan's face to read more on how our fencing helped Harvey & Megan and the Webb family. 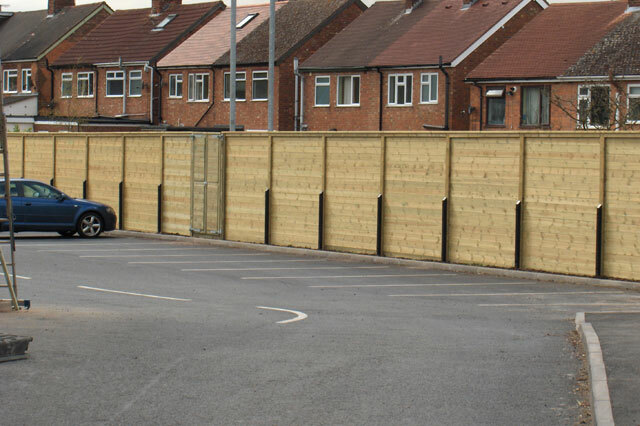 We can supply fencing for almost any requirement or noise problem. 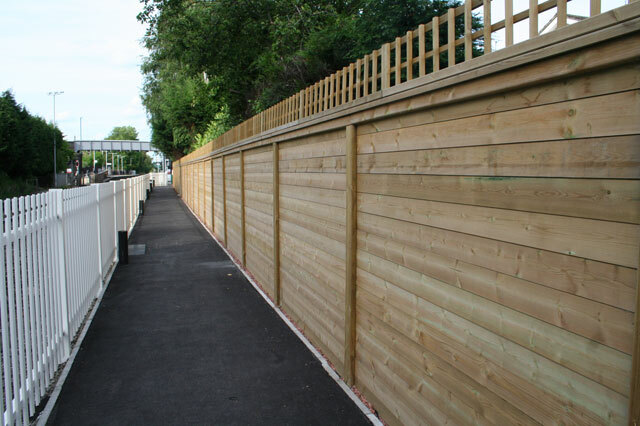 Here is a breakdown of what fencing and services we have to offer. 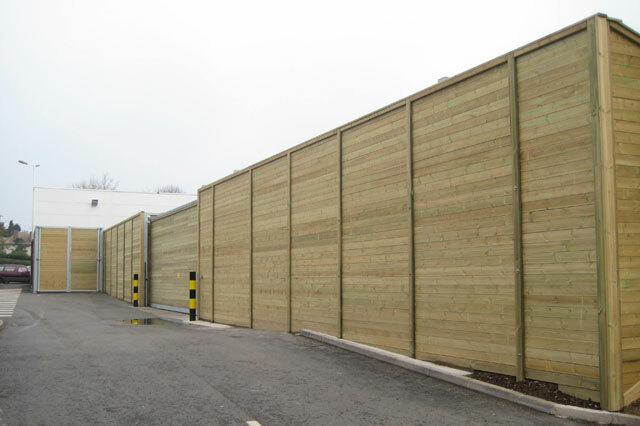 Market leading, Category=B3 rated barrier with timber posts. Heights over 2m come with a galvanized steel spur. A thinner 20mm acoustic board for more visual applications. This fence has not been tested or certified. The Absorptive layer can be added to the Reflective and Highway barriers. To be used where the sound is not be reflected back to where it came. 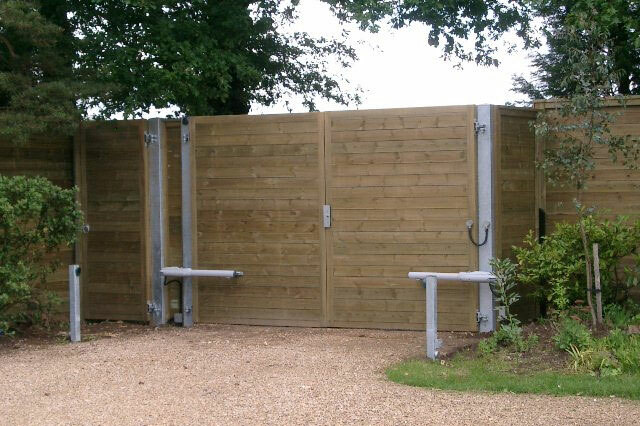 This fence comes with galvanized steel I-beam posts and can be produced to almost any height. It uses the B3 rated acoustic boards. We have Expert Installers throughout the UK and we install almost anywhere within the British mainland. Ask us if we can cover your area. 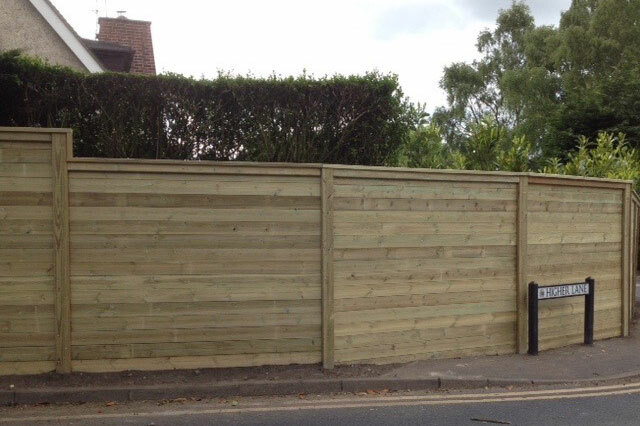 Here are a small collection of images for our acoustic fencing- See our gallery page for more images. 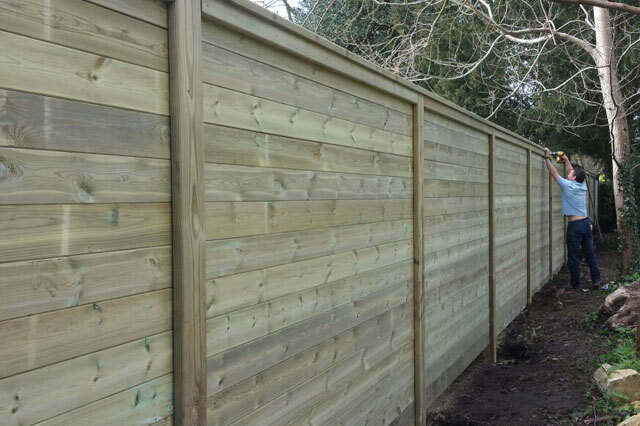 Premier Acoustic Fencing has been built on a very high level of customer service, combined with the highest grade of materials. 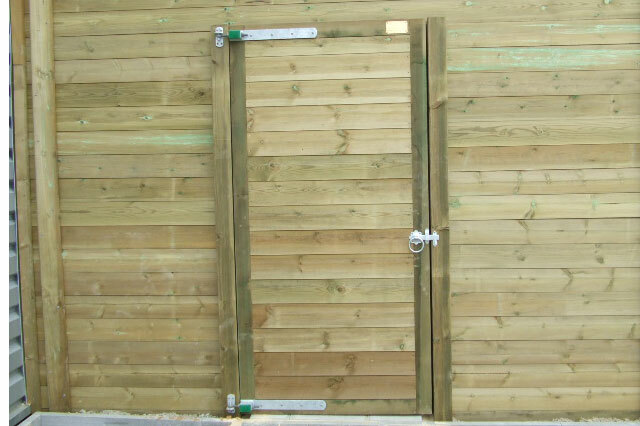 All of our timber has been heavily treated and comes with a minimum life of 25 years against rot and insect attack, it is also maintenance free for the 25 years. You might also be suprised with how attractive the fence is. 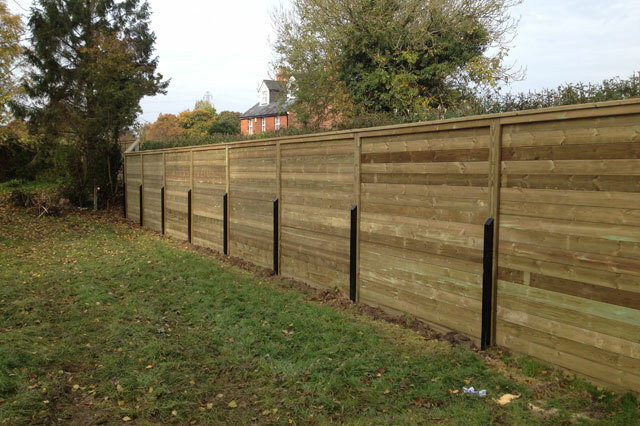 Our fencing has been tested and certified and is rated Category=B3.